The political situation in Venezuela is once again in the headlines in media’s across the globe. It’s a complex and dire situation now made even more complex due to the proclamation of Juan Guaido as the president. Venezuela is now a country with two president precariously on the brink of collapse. 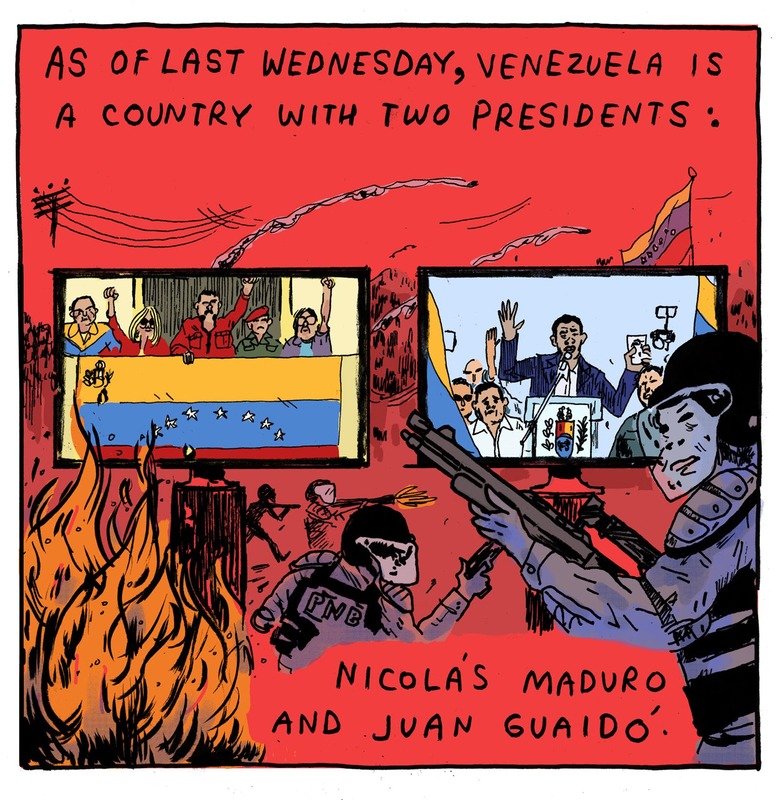 Mike Centeno has a wonderful rundown of the situation to date and a newer update on the bi-presidential status of the country over at The Nib.